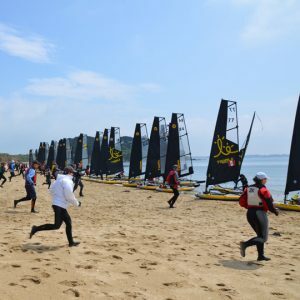 42 Tiwal inflatable boats and their 70 sailors met for the 5th Tiwal Cup in the Golfe du of Morbihan! They came from the USA, Peru, Denmark, Germany, the UK, Spain, Belgium and France. 10am, Arradon, the competition began with an assembly race. 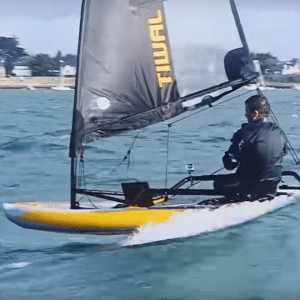 Solo world record beaten: 10 minutes 24 seconds for the third-time winner Gilles Bajolet. 11am, competitors started racing under driving rain. Fortunately the atmosphere was bright! The first raging leg took us to Arz Island. 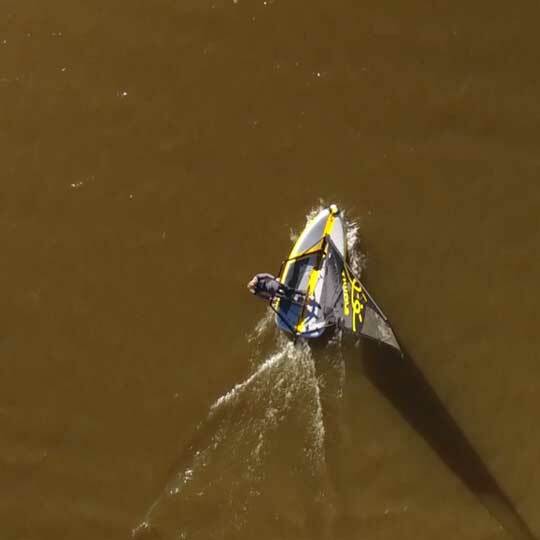 use different techniques to cross the finish line: paddling, centerboard in hand, or with bare hands or even feet… The last race was cancelled. Young captains Andrea Roudier and Fabian Lawrence won the double-handed race after a tight battle with Eric Nevo and his daughter Prune. Hélène Fréal won the solo race, followed closely by Fabrice Berthelot. Once again, well done to all participants, thank you for such a pleasant day and see you all next year!